Left Focus: The Robin Hood Tax - What's not to like? The Robin Hood Tax - What's not to like? John Langmore outlines the background to the proposal for a financial transactions tax. Support for such progressive tax reform is swiftly building to comprise an international movement. This article is reproduced with the author's permission. Nearly forty years ago the eminent macroeconomist James Tobin proposed a tax on foreign exchange transactions as a means of "throwing some sand in the well-greased wheels" of financial speculation. The idea attracted little attention at the time, and it wasn't until twenty years later that I first learnt the detail of Tobin's proposal. In the meantime he had been awarded the 1981 Nobel Prize for economics. By the early 1990s I was deeply concerned by the power of international financial markets to dominate national economic policy. When the Parliamentary Research Service listed an article Tobin had published in the Financial Times in December 1992, I wrote to him and he sent me his original proposal. I was persuaded by his argument and started advocating that the idea be studied more closely. At the next Labor Party national conference the party platform was amended to include support for a study of the Tobin proposal, and with ministerial support I was able to speak about the idea at preparatory meetings for the United Nations Social Summit in New York in 1993 and 1994. The concept was generating great interest at the United Nations. Tobin had suggested that the revenue could be used to finance development, and the UN Development Program's Human Development Report for 1994, edited by Inge Kaul, included a short contribution from Tobin explaining his idea and proposing a tax of 0.5 per cent. Dr Kaul organised a conference of leading economists in 1995, where I met Tobin, and the papers were published as The Tobin Tax: Coping with Financial Volatility. The UN secretary-general, Boutros Boutros Ghali, publicly supported the idea. By then, however, Republican senators in the United States had started misrepresenting Tobin's proposal as a "UN tax." This was nonsense, of course: taxes can only be collected by governments. Yet that fact didn't prevent the Republican-controlled Senate from including in the bill authorising payment of US dues to the United Nations a clause prohibiting payment if Tobin's idea was even discussed in the UN. So when the book on the Tobin tax was launched the UN editors couldn't speak. As one of the contributors I appeared in their place at conferences on the proposal at Yale and in London. In Washington I discussed the tax with Lawrence Summers, who is now Barack Obama's economic advisor. At the beginning of the nineties Summers and his wife had published an article showing that financial markets are not fully efficient because they overshoot; by the end of the decade, about to become Secretary of the Treasury, he did not feel able to restate that opinion in public. Since then Tobin's idea has gained widespread support among non-government development agencies and a strong network of advocates - including the France-based Association for the Taxation of Financial Transactions for the Aid of Citizens, and Britain's Stamp out Poverty campaign - have used imaginative campaigns to keep it alive. Political support for the idea endured in a number of countries and reached the United Nations again during the Special Session of the UN General Assembly on Social Development in Geneva in June 2000 (for which the division of which I was by then director had responsibility) when Canada officially proposed a study of the plan and its implications. Following opposition from the United States and some other countries a compromise proposal - for a study of "innovative sources of funding for development" - was agreed on, and the UN University's World Institute for Development Studies was commissioned to do the work. Professor Sir Anthony Atkinson agreed to lead the project and the papers were published as New Sources of Development Finance by Oxford University Press in 2005. Political momentum was nurtured through the formation in 2006 of the Leading Group on Innovative Finance for Development, of which about fifty-five countries - including Belgium, Chile, South Korea, Finland, France, Germany, India, Italy, Japan, Mexico, Norway, United Kingdom, South Africa and Spain - are now members. In mid 2009 the group appointed an expert group to report on a financial transaction tax. Meanwhile, quiet work was continuing among scholars. Professor Anthony Clunies-Ross succeeded in raising £60,000 from an anonymous British donor for a study of whether a tax on currency transactions would cause increased exchange rate volatility as a result of the expected fall in volume. The modelling was undertaken by Dr Rodney Schmidt of the Canadian North-South Institute, and the result was encouraging. He found that "a currency transaction tax [CTT] of 0.5 basis points [0.005%] in the major currency markets would reduce transaction volume by 14 per cent. Post-CTT spreads and transaction volumes would be well within the range of recent observations and would not be disruptive. A 0.5-basis-point CTT would raise at least $US33 billion every year, probably more." Which brings us to the aftermath of the global financial crisis and growing support for a financial transaction tax - an extended version of Tobin's idea - among European governments and public policy economists in the United States. Before Christmas the European Council joined Gordon Brown in encouraging the International Monetary Fund to include a "global financial transaction levy" among the options it is examining to raise revenue from banks and the rest of the finance industry. This followed the request from the G20 meeting in September that the IMF evaluate "how the financial sector could make a fair and substantial contribution toward paying for any burdens associated with government interventions to repair the banking system." To be imposed almost universally, a currency transaction tax would need only the active cooperation of the authorities that oversee the principal reserve currencies, the US dollar, the euro, the pound and the yen. Because the tax's small direct costs would be concentrated in financial sectors, its impact would be redistributive in a progressive way across nations. It would also be a source of funds for "global provenance," which means that all or a substantial proportion of the revenue should be allocated under global authority. The national authorities collecting the tax would keep a share, but the revenue would have to be distributed globally in proportion to each country's financial transactions. The global financial crisis has transformed this debate. The Bush and Obama administrations and many European governments were compelled to launch massive rescue strategies for financial institutions, so electorates are demanding ways of making financial institutions pay the cost. Chancellor Merkel, President Sarkozy and Prime Minister Brown have all spoken in favour of looking seriously at a financial transaction tax. On its own, a tax of this type would not resolve the crisis, of course. But it could play an important role in raising funds to pay for the bail-outs. Unlike a currency transaction tax or a Tobin tax, which just covers currency transactions, a financial transaction tax would cover all kinds of financial assets such as shares, bonds, securities and derivatives, both domestically and for cross-border transactions. Technically a financial transaction tax could be levied easily and at very low cost since all such transactions occur through electronic platforms. A simple electronic tag would automatically collect the tax, and such taxes already exist in a number of countries. In the mid-nineties the Labor government in Australia supported a study of the Tobin tax, but the Rudd government does not seem to have taken the issue up yet - despite the fact that the prime minister attending the G20 meeting in Pittsburgh that agreed to refer the need to raise funds to pay for the bank rescue packages to the IMF. It would be timely for the government to take a serious look at the proposal and participate in international discussions. It would be entirely appropriate for Australia to apply to join the Leading Group on Innovative Finance for Development and to attend its next meeting, in Santiago, at the end of January at least as an observer (four other countries are already observers). Ministers and public servants need to become familiar with the issues and to prepare a position. The proposal does generate opposition from many bankers, though not all. When I asked Marshall Carter, CEO of Boston's enormous State Street Bank, in 1995 what he thought of the idea he was unfazed, saying "Oh, we would just pass it on to our customers'. But there is strong support and it is growing. Adair Turner, Britain's top financial regulator, called last August for a tax on financial transactions as a way to discourage 'socially useless activities'. American Nobel economics laureate Paul Krugman argues that a financial transaction tax "would be a trivial expense for people engaged in foreign trade or long term investment; but it would be a major disincentive for people trying to make a fast buck (or euro, or yen) by outguessing the markets over the course of a few days or weeks." "What's not to like?" he asks. Critics claim that it would be avoided, but the centralisation of such transactions makes them relatively easy to monitor - if there is a will to do so. The tax is one way of shrinking bloated financial sectors and of raising revenue from those who have benefited most from the explosive growth in the volume of international financial transactions. 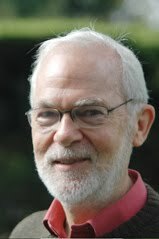 John Langmore is a Professorial Fellow at the University of Melbourne. He is a former federal member for Fraser and was a divisional director at the United Nations. This article was originally published by 'The Evatt Foundation': which is a member of the alliance supporting the Australian Robin Hood Tax campaign as part of the growing international movement. Visit the Robin Hood Tax website and join us in the campaign today. Others please web search for your local campaign but be aware there may not be campaigns in all countries - We could not find a US-based website. Transaction taxes of all sorts (FID/BAD, stamp duties on property, the GST etc) all have the same effect as direct taxes on labour or capital; supply is reduced, demand responds in kind, the cost of the tax is shared between producer and consumer and in addition to administrative costs there is a net social loss due to the loss in trades. The so-called "Robin Hood" tax is no different. The introduction of "Robin Hood" tax will reduce the volume of financial trades; this is undisputed. As a consequence this will increase unemployment, with additional flow-on effects (recently analysis suggests a 10 to 1 ratio, i.e., for every 10 jobs lost in the financial sector, 1 further job will be lost elsewhere). This should be illustrative of the net social loss principle. Further, the transaction tax will reduce the ability of the financial market to react to conditions. This will also increase costs, reduce efficiency etc. A study by the U.S. Chamber of Commerce suggested that by itself, the tax could cause a loss of 12.5% to the Dow Jones. Empirically, where a Financial Transaction Tax has been introduced (e.g., Sweden) it has proven to be extremely damaging to that sector, even on very small rates. Ironically, it also proved costly on the biggest borrower of the Swedish economy - i.e., the government - reducing its capacity to provide welfare and services. Whilst it must be admitted that transaction taxes are often politically saleable (because they are indirect) and sometimes (in highly technologically mediated environments) have low administrative costs, overall the emphasis is entirely wrong. Deriving public income from labour and capital as factors of production, or transactions of the same, will have serious negative economic consequences. As a result, it should be opposed. I have been visiting various blogs for my term papers writing research. I have found your blog to be quite useful. Keep updating your blog with valuable information. Lev’s views appear to represent the classic neoliberal approach - if market conduct and structure is appropriate then optimal outcomes will be achieved; whatever outcomes are achieved by market forces will in the main, by definition, be optimal. As a socialist, I naturally reject such an idea. Indeed, Dr Peter Brain two years ago gave a lecture entitled “The Australian Neoliberal Model: How thinking like an economist will degrade economic performance, social stability and national sovereignty.” In contrast to the legions of neoliberal economists, Dr Brain was one of the few to predict the Global Financial Crisis. He was quite deliberately suggesting that for all our illusions of choice, the realities of income, wealth and debt suggest that our society is through neoliberal irrationalist policies being forced towards the inter-generational restrictions characteristic of Russian serfdom. Public provision of a wide range of social and economic services will mean the difference between modest comfort and poverty. Were the Commonwealth Bank still in public ownership, it could have a branch structure with a presence, however small, in every town; it could have issued mortgages at whatever below-market rate our dear Treasurer was willing to subsidise; it could have continued as a venture capital/industry development bank; the Federal Government would have earned very significant dividend income; it could have undermined the price-gouging of other banks; the Treasurer would have had a source of practical, detailed and honest advice about how the banking system really works (which he obviously needs). Not least, being publicly-owned, its depositors, its debtors and all other banks would know that it was completely safe. Surprisingly, most politicians and commentators are still regurgitating the discredited economic fundamentalist rubbish, apart from the obligatory but mild criticism of corporate greed. After the first wave of the Global Financial Crisis, and that total lack of will to implement meaningful remedies, the world now appears to be starting to suffer the second and more painful downturn. Neoliberal economics is part of the problem. On only one point would Lev and I agree - the Tobin tax’s aim is to “reduce the volume of financial trades”. Given the vast flows of speculative money that are still driving enormous distortions in prices and the flow of international finance, that is enormously in its favour. Historically the tobin tax does not increase tax revenue. Sweden applied in in1984 and cancelled it in 1991. Why doesn't it work? Short term traders leave the market which means reduced capital gains tax. Less trades also means the tax produced less revenue than anticipated and not enough to offset the loss in capital gains tax. Sorry but it's been tried and It didn't work. This is not a tax on banks, it's a tax on investors and traders who support the markets. Renaming it a 'robin hood tax' will appeal to the masses but it will take money from super funds not the banks. On the other hand if the aim was to reduce unproductive speculation, perhaps it could be seen as a success in this sense? And if there really was a tax shortfall it could be made up elsewhere? To dismiss a Tobin tax - “it's been tried and It didn't work.” - by extrapolating internationally and for all time from one limited attempt by one country is unscientific. People don’t have to be logical, but nor do we have to give credit to illogical arguments. It is indeed a warning of the difficulties of making such a tax effective, but such challenges will apply to any proposed measure. They are no less necessary. Tobin himself has pointed out – as has John Langmore - that the primary purpose of such a tax is to reduce the damage done by huge speculative financial transactions; raising revenue is definitely secondary. Neither Sweden nor any other country can successfully impose such a tax unilaterally; as with the norms of international law, and as has been done in many specialist fields, there has to be an international consensus. An active left could help drive such a consensus. Such a tax would not have much affected the increases in fuel and non-fuel commodity prices over the last few years, since these were due primarily to increasing demand. Nor can it be expected to make any real difference where the international financial hyenas scent a country about to default, be it Mexico, the UK, the Philippines, or Hungary. Greece, being in the Euro zone, is relatively safe, although not from increases in the interest rate it has to pay on the borrowings to cover its budget deficit. But it can increase the overall cost of financial transactions, thus discouraging the most frivolously opportunistic speculations. In the above situations, it would discourage all transactions other than those intended to transfer real goods and services between suppliers and users. As with free trade and fair trade, there is a world of difference between free finance and fair finance. That such speculators chose to avoid the Swedish financial system could also be seen as a success. In 1997, two-thirds of all the outright forward and swap transactions the speculative money moved into another currency for fewer than seven days. In only 1% did the money stay for as long as one year. In 1980 global financial stock totalled $US13 trillion, about $US118 trillion in 2005 and until the GFC was forecast to exceed $US290 trillion this year (actual in 2008: $178t). Whereas in 1980 the global financial stock was about the same size as world gross domestic product, in 2005 it was about three times the size of world GDP. While others may be anxious to help protect powerful international financial groups from any restraint on their arrogant and socially contemptuous abuse of their power, I choose to support measures that on the face of it favour a fairer and more responsible world. As we are seeing with the mining industry’s mobilisation of ordinary people and commentators as well as directly paid lobbyists, power is ruthless in its determination to protect its power. There appears little will to hinder them. Roger's suggestion positivist economic tools such as market analysis are treated as some sort of ideological agenda are unfathomable and rather smack of adherence to a "secular religion". Indeed to claim that somehow opposition to such tools is part and parcel of socialism is rather missing the point; there is nothing relating at all to such analysis that either supports or condemns any particular type of economic ownership. He is however right to reference Dr. Peter Brain who, like some others, noted that the boom period was highly based on unsustainable and inflated land prices. Vulgar Marxists in contrast have successfully predicted 15 of the last 3 recessions; like the neoclassical school that they so quickly condemn - they are apparently unable to differentiate between land and capital, and as result cannot tell the difference between the destructive effects of a transaction tax on finances and the productive effects of a resources tax. Tristan's contest that taxation reduces demand with the claim that is shifted does not account for deadweight loss or administration costs (the latter I admit are low for this sort of tax; the former however are extremely high). As Dr. Ken Henry pointed recently out, someone with high school knowledge of economics can work out that only taxes on natural resources (or more specifically, anything in fixed supply) do not suffer deadweight loss or transfer costs. Anything else simply causes more harm than good. Nothing is better proof of the obstinate immunity to reality of the protectors of the capitalist order than the denials of reality of those such as Lev. Fir the benefit of readers other than Lev, I simply quote below from people who actually are economists. Anirvan Banerji, an economist with the New York-based Economic Cycle Research Institute, summed up the feeling of many of those at the IMF meeting when he delivered his response to Roubini's talk. Banerji questioned Roubini's assumptions, said they were not based on mathematical models and dismissed his hunches as those of a Cassandra. “One expert who did predict the crisis, James Galbraith, economics professor at the University of Texas at Austin, says the majority of his peers were blinded by a belief in free-market philosophy and the notion markets are rational. … Galbraith doesn't hold much hope that this crisis will change much the outlook for economists, noting they don't study history and many are "still in denial" about what's transpired. But best example of all of Lev’s disconnect with reality is his statement that “As Dr. Ken Henry pointed recently out, someone with high school knowledge of economics can work out that only taxes on natural resources (or more specifically, anything in fixed supply) do not suffer deadweight loss or transfer cost”. Kevin07’s Resource Super Profits Tax (RSPT) is a tax of natural resources that is currently involving large political deadweight losses, and large economic costs, if the thunder from the greedy and grasping mining sector is any measure. Seriously, though, the left can’t advance while paying any serious attention to such views. That, of course, is one of the reasons why people advance such views in these forums. Reality means whatever they want it to mean, neither more nor less. Once again Roger, you have descended to an attempt at ad hominen remarks, claiming that those who use standard economic tools are "immunity to reality" and "protectors of the capitalist order". Honestly, if you don't understand basic economics simply ask. I am willing and able to explain terms which may not have the vocabulary. In the previous comments - and in numerous times both here and elsewhere - I have described the correctness of classic economic concepts of class and their effects, especially in reference to the GFC (for example http://isocracy.org/node/6 and http://isocracy.org/node/13 and http://community.livejournal.com/economics/367607.html). It is, of course, quite normal for individuals and entire schools of thought to be correct on some things and incorrect on others. Marx, along with all other classical economists, was quite right to distinguish between land, labour and capital (along with landlord, capitalist and worker). Neoclassical economists were quite correct to use marginal analysis, a tool which classical economists didn't have. Vulgar Marxists (which includes of most of the breed, who obviously didn't read and understand "Critique of the Gotha Programme") and neoclassical economists were downright mistaken to conflate land and capital into one. As if you can just make more of the former, like building another factory. Such complexity may be beyond some people. But assuming otherwise, keep going. Now Roger if - and only if - you were more attentive to your actual post you would note something special from your first quote from Nouriel Roubini: "Roubini told an audience ... a once-in-a-lifetime housing bust would lay waste to the US economy as oil prices soared... the collapse of the mortgage market would trigger a global meltdown, as trillions of dollars of mortgage-backed securities unravelled"
Sorry, what was that? A housing bust? Soaring oil prices? Unravelling of mortgage-backed securities? Do you mean that people were engaging in monopolistic income-generation without production? Now if your solution to such a problem is to put a brake on *all* financial transactions rather than those which are actually the problem then read no further. You can go off an campaign against women wearing the burqa as symbolic of oppression rather than dealing with real oppression while you're at it. The quotes from both Galbraith and Greenspan are, for those who acknowledge such things, well and truly within the economic mainstream. There is nothing at all unusual in taking an empirical institutional approach in contrast to rationalist neoclassical school approaches. Certainly neither Galbraith nor even Greenspan have ever advocated ignoring matters of supply elasticity and price mechanisms. There is a small double irony in Roger's final comments concerning Dr. Henry's remarks. Not only does he back up the claims of the mining companies (who's supporting capitalism now? ), claims so erroneous (and damaging) that ASIC has had release warnings on such remarks, but it is quite clear that he does not know what "deadweight loss" means in economics. In 2008 a small party competed in elections in Barbados. Explicitly describing their programme as "anti-economics" they promised "free money" as part of the abolition of economic tools and reasoning. Despite these promises they received only 28 votes. Doubtless they too thought that they understood "reality" better than everyone else, and did not need to expand their knowledge into such deceptive studies. After all, they were truly the vanguard of the people, they already knew everything and they could not possibly be wrong. Lev's blancmange of self-serving half-truths provides an excellent snapshot of the arrogant and patronising disdain of the financial class despite their demonstrated incompetence. The ideological nature of neoclassical economics is a reality, as is the failure of neoclassical economists either to anticipate the Global Financial Crisis, or to produce a remedy. Lev's neoclassical economists believed that they already knew everything, they could not possibly be wrong, nor have they changed. I do not share his smug disdain for those who've suffered, and who will suffer in the future - something that certainly disqualifies me from being an economist. If Lev's standard is any guide, it's an easy job to do - but there are honest ways to earn a living.